This CCR was the first of 5 RHD CCR's that were build. First finished in a very light blue exterior color which was combined with a blue interior with black accents. It was later changed, first with a matt black wrap with red accents, while the interior was kept the same. But later more extensively, which resulted in a clear coated carbon body with red accents and an interior to match in black & red too. Other parts, like rear wing and wheels, were changed as well. Spotted early with Modena stickers on it which possibly means it was first delivered to Modena. Initially exterior color was very light blue but received a matt black wrap at some point, which was combined with some red accents. A full width rear wing was also fitted. This was however not the final configuration of this CCR as it was upgraded extensively by the factory after that: Visible carbon body with candy red accents, CCX style rear diffuser, CCX style side splitters, forged and polished 9 spoke CCX wheels, custom made exhaust end piece, custom integrated fog lamps in front bumper and a twin F1 carbon fiber rear wing. 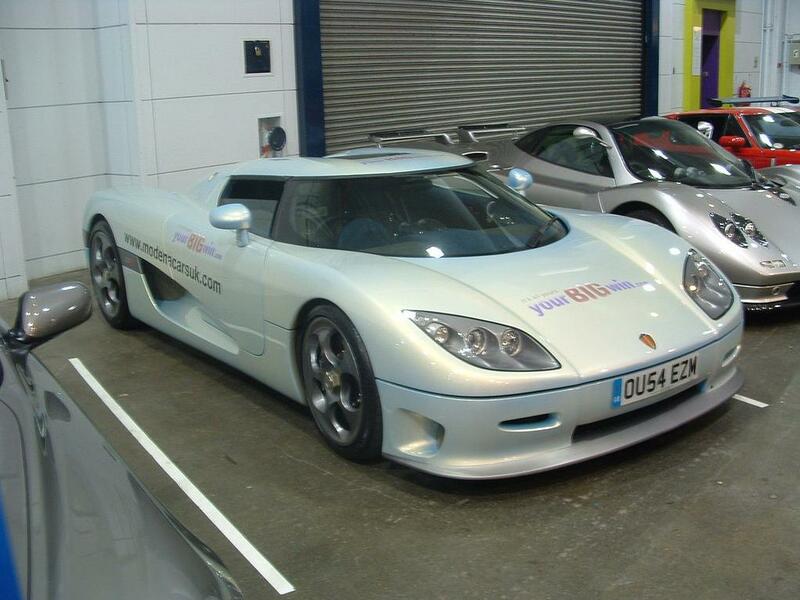 This CCR started life with a blue & black bi-color interior, which was later changed into a black & red interior with "Koenigsegg Revo" embroidered on the dash at the passenger side and a fire extinguisher was fitted as well. The steering wheel is upgraded too, being carbon now and featuring the buttons, and different stalks to the steering column as well. First fitted with the standard 806 Hp CCR engine but it received some engine related updates, along with the exterior and interior changes, like a fully upgraded engine management. According to Koenigsegg the car was re-upholstered during the upgrade and was fitted with a visible carbon CCR body. It is the only CCR with a clear carbon body and due to the extensive effort of re-skinning an existing car, it is highly unlikely that there ever will be another like it.